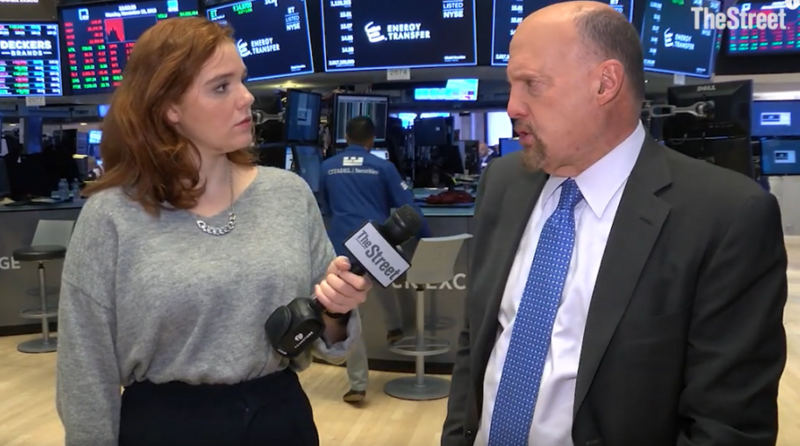 “This is one of the worst,” Cramer said as words weren’t minced when he told TheStreet his thoughts on the current state of the market. It was a pre-Thanksgiving treat that investors didn’t want to digest as technology names like Nvidia, Align Technology Inc and Salesforce.com contributed to declines of almost 30% combined as tech continues to face the brunt of volatility. From an overarching standpoint, Cramer was quick to asses all the negative news flowing from tech seeping into the capital markets. FANG (Facebook, Amazon, Netflix, and Google-Alphabet) continued their woes while another tech giant often mentioned with the FANGs, Apple, continued to slide. The iPhone maker has been depressed by a spate of analyst downgrades as the gloomy outlook for future sales dampened investor confidence with analysts citing higher unit prices as a futile attempt to curb the eventual loss in sales. Shares of Apple fell by 3.64% as of 2:30 p.m. ET, but are down 15% within the past month.